Shaw will face two Division I schools in 2018, one of them an old rival from the cradle of the CIAA. The 2017 football season has been in the books for less than a full month, but Shaw isn’t wasting any time getting its fans ready for 2018. The Bears will face two Division I opponents next season, including one once-familiar foe, the school announced on Friday. Shaw will open the 2018 season on the road at Hampton on Sept. 1. Both schools are charter members of the CIAA, with the conference being founded on Hampton’s campus back in 1912. The two programs have not met since 1978 as Shaw disbanded its football team shortly thereafter. Shaw will then travel to Mars Hill University for the first time in school history (Sept. 8) before hosting Chowan for a Central Intercollegiate Athletic Association (CIAA) opener at home on Sept. 15 at 1 p.m. The Bears will round out the non-conference slate with a road contest at DI Campbell on Sept. 22, followed by another road tilt at Virginia State (Sept. 29). Shaw will return home to host Fayetteville State (Oct. 6) for their CIAA Southern Division opener and then travel to Salisbury, N.C. for a matchup at Livingstone (Oct. 13). The last two home games of the 2018 slate features a matchup with Johnson C. Smith (Oct. 20) and Homecoming versus Winston-Salem State on Oct. 27 at 1 p.m.
On Nov. 3, the Bears will conclude the regular season with an away contest at cross-town rival Saint Augustine’s for the third annual Raleigh Classic. 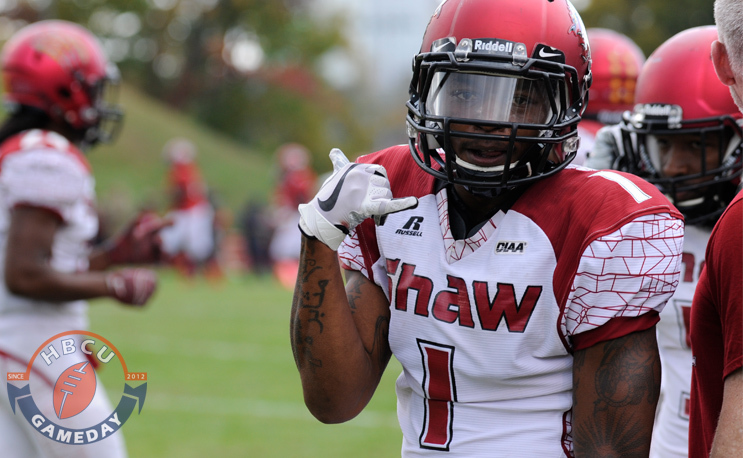 Shaw is coming off a 3-7 finish and 2-5 record in the CIAA under Coach Jones. The Bears had six players named to the All-CIAA Team and three named to the All-CIAA Rookie Team. I wish VSU scheduled like this!!! Wow.